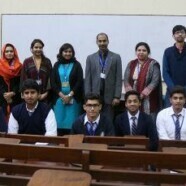 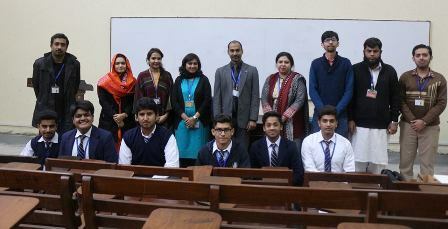 The Intermediate Social Sciences Club organized an Information Session on FEAT Accuplacer on Wednesday 15 February 2017 for the Intermediate students aspiring to join Baccalaureate (Hons) program at Forman Christian College (A Chartered University). 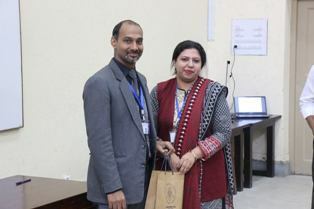 The information regarding Forman Entrance Admission Test (FEAT) was provided by representatives of Quality Enhancement Cell at FCCU lead by Mr Shajeel Imran, Assessment Officer. 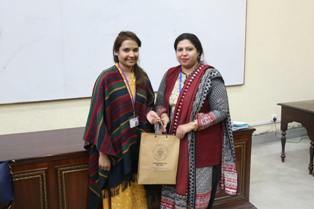 This highly interactive session was attended by a large number of students and faculty members.